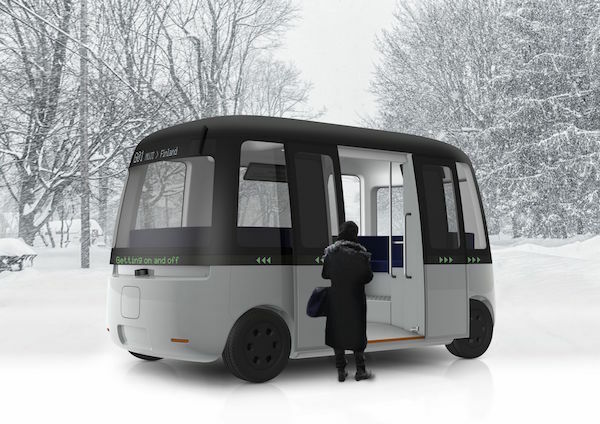 Japanese retail company Muji and Finnish autonomous driving brand Sensible 4 have teamed up to create an autonomous shuttle bus called ‘Gacha’, touted as the first in the world that’s capable of functioning in all weather conditions. While Muji oversaw the design and user experience of the vehicle, Sensible 4 took the reins where the automobile’s driverless technology was involved. 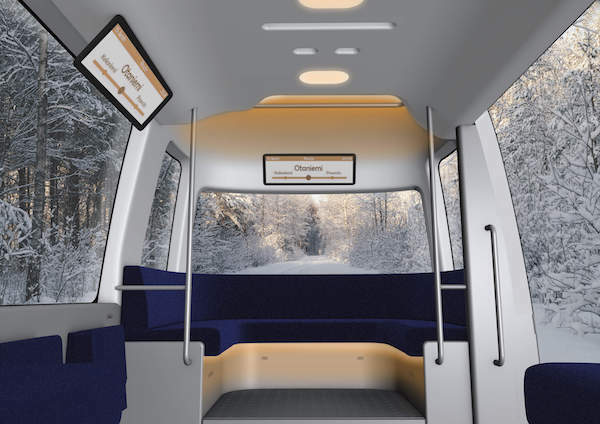 The collaboration aims to develop autonomous shuttle bus fleets for conventional use, and to deliver real transportation services to the public by 2021. Since weather plays a vital role in opening up the market for autonomous vehicles, Sensible 4 took to developing the technology under arctic Lapland conditions. This gives the brand an edge over other self-driving technologies that are being established mainly for warmer climates. ‘Gacha’ has been given a friendly and welcoming design, with no distinct front or back, and an LED light belt comprising headlights and communication screen. The interior seating takes the shape of the soft, rounded, square aesthetic of the bus. Muji and Sensible 4 aim to put ‘Gacha’ up for public display come March 2019 in Helsinki. 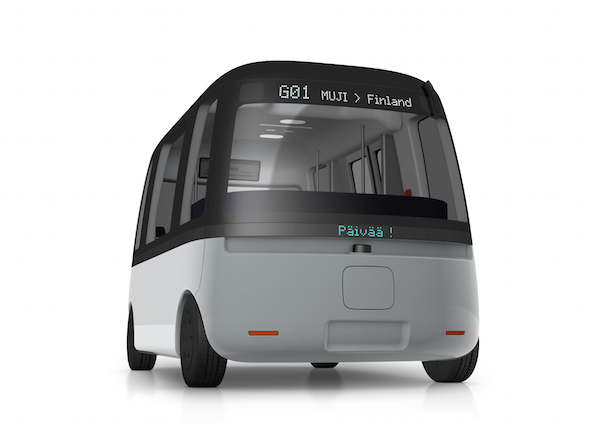 The duo will begin test-driving the autonomous vehicle across three Finnish cities throughout the first half of 2019, with plans to roll out the first ‘Gacha’ fleet by 2020.